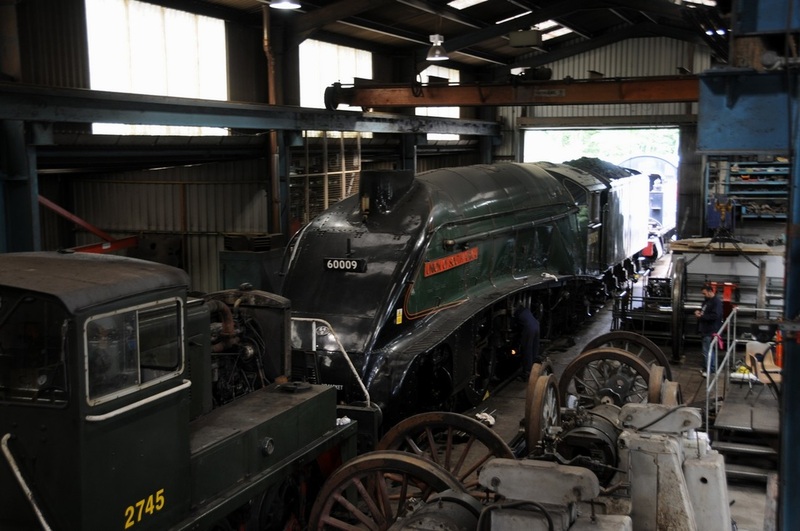 On Sunday 16th August 2015, Class A4 Pacific 4-6-2 60009 'UNION OF SOUTH AFRICA', failed with a hot axlebox at Newton Abbot while hauling the down leg of the rail tour "The Royal Duchy". 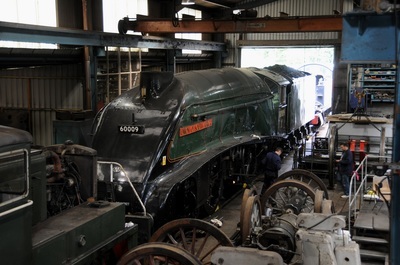 She was brought to the South Devon Railway for repair. 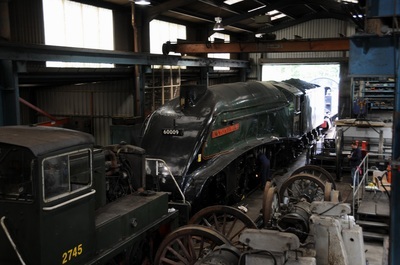 Here is a couple of photographs I took of the locomotive in the workshop at Buckfastleigh on Saturday 29th August 2015. (2 Photos).